The NAAIM Indicator Wall: Is It Time To Go The Other Way? 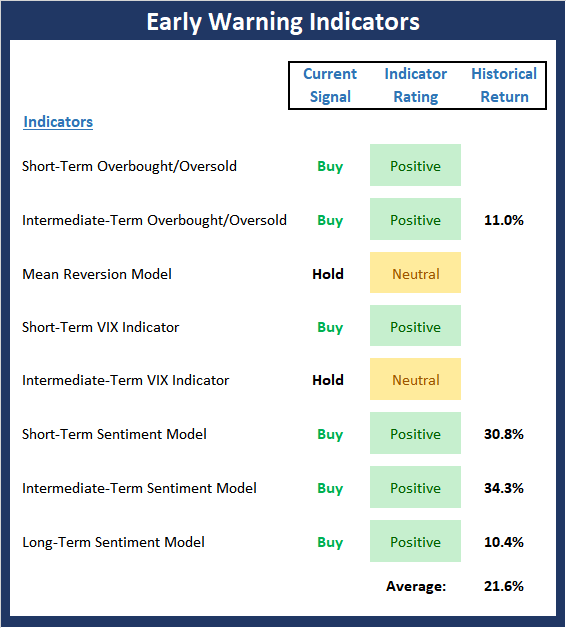 This week, we’re featuring the “Early Warning” Indicator Board, which is a group of indicators designed to suggest when the market may be ripe for a reversal on a short-term basis. 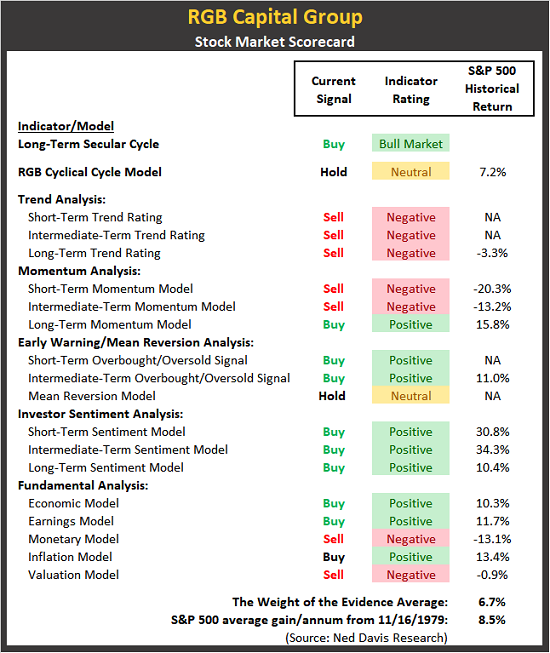 The key point at this time is that despite all the negativity in the market, our “early warning” indicators are suggesting that conditions for a bounce are definitely improving. Today, as I sit on the train to New York, I am thinking that Friday and Monday were downright ugly for the bulls. The bad Friday, bad Monday combination, regardless of whether this remains a bull market or not is something typically seen near lows which is where I think the market is. Similar to hat I mentioned yesterday, the S&P 500 is now approaching its lows for 2018 while the S&P 400 and Russell 2000 have already breached those levels. The Dow and NASDAQ 100 remain above them, but with this nasty a selling wave, those two indices shouldn’t get comfortable. There is definitely fear in the streets, but I don’t have the sense of true panic right here. Investment Managers: Are You Looking For Distribution Opportunities For Your Investment Strategy? NAAIM’s Shark Tank Can Help! You’ve designed the better investment strategy. You have actual results that show it works. But investors are failing to beat a path to your door… It’s time for the NAAIM Shark Tank! Launched in 2013, the National Association of Active Investment Managers (NAAIM) Shark Tank Competition provides exceptional exposure for actively managed investment strategies. The 2019 award package is bigger and better than ever with the winning strategy gaining exposure to more than 200 investment advisory firms throughout the U.S., including a distribution spot on a 125+ member TAMP. It’s that time of year when seemingly everyone on the street starts yammering on about the purported “Santa Claus Rally.” For example, the WSJ has an article this morning about the traditional Santa Claus Rally, which spans the last five trading days of the year and the first two trading days of the new calendar year. While we are still a few sessions away from the official starting date, the article points out that the average gain for the seven-day span has been 1.3% for the S&P 500 and that the last time Santa failed to appear at the corner of Broad and Wall was 2015. The problem is the S&P 500 index is currently down 2.8% (however, the “total return” index – which reinvests dividends is currently up 1%). 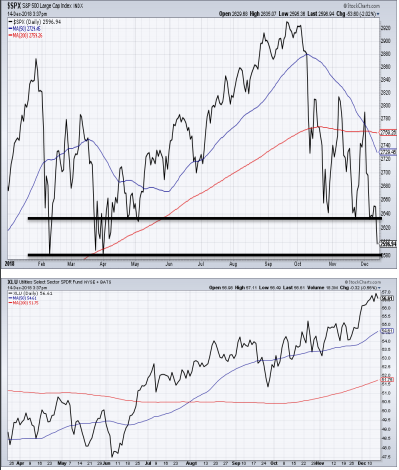 As such, if the bulls hope to push the venerable index back into the black for the year, they’ve got some work to do. Our heroes in horns remind us that there are two possible developments that could get the year-end party started this week. First, there is the Fed meeting, which concludes with a Jay Powell presser on Wednesday. The bulls hope that the Fed Chair’s comments will be in the spirit of the holidays and take a dovish tilt – as in, a rate hike and then a pause to reflect on the changing economic climate. The second potential bullish trigger is more of a stretch as a potential government shutdown is slated for 12:01 a.m. Saturday. Both sides are dug in and hopes for a deal are not high as we enter the week. But lest we forget, a week in Washington D.C. is like a year everywhere else. Fingers crossed that a deal gets done. 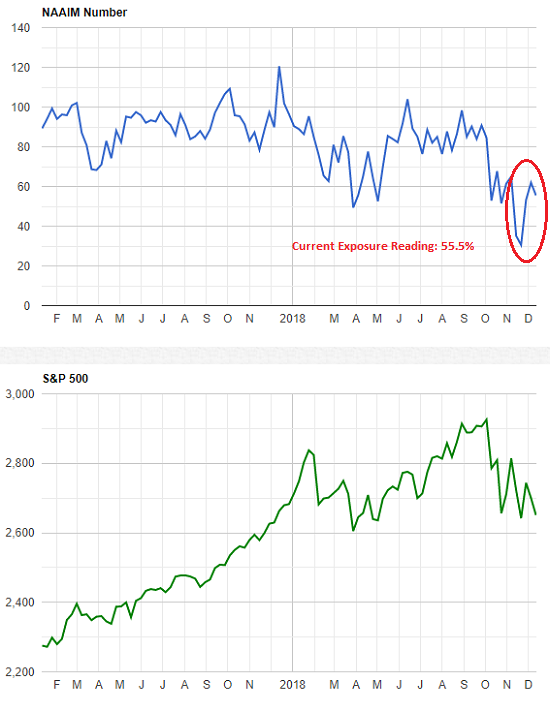 PE ratios are now contracting after many years of PE-expansion due to “easy money” policies and the market is trying to work off this “excess” daily. If the Fed raises rates on Wednesday (as expected) and does not communicate a “dovish” (lower rates) tone of “one & done”, then a “Christmas Crash” could be in the cards. If the Fed does not raise rates, that may indicate the Fed sees slower economic growth ahead which would likely hurt corporate earnings. Lower expected earnings would likely cause estimates to be adjusted downward which would likely cause stock prices to decline even further. I believe whatever action the Fed takes or does not take on Wednesday could give the market an excuse to trade lower. I am seeing methodical and systematic distribution by institutions as they sell into the rallies the algos create. 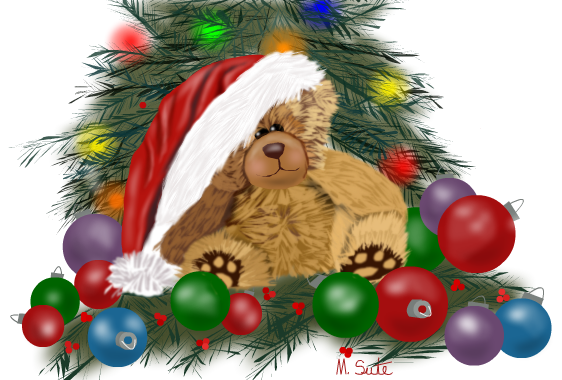 I believe we may be headed for a “Beary” Christmas and a not so Happy New Year! BAM Market Note: Is The Bottom At Hand? The S&P has now decisively broken the recent support on a closing basis (not good) and is now heading down to the lows set earlier this year. With less than 1% between where we are now and those lows, we are going to hit that support in the coming days. The question then becomes – will those lows hold? It is a line in the sand for the bulls and, perhaps, the difference between a correction and the start of a new bear market. If the lows do not hold, then we have likely entered into a bear market with much more pain to come as the clock turns on another year. 2019 could be very interesting and painful for those investors without a risk management plan in place. After a dismal few days last week, it would not have been surprising to see a relief rally this week. However, the rally that materialized was very weak and deteriorated altogether today as the major market indices all tumbled 2% to finish the week in the red. More significantly, major support levels were breached and sets up another important test just below current levels. As mentioned in prior missives, small caps have already breached those levels and it looks like the rest of the market is now following. The market will need a positive catalyst of some type to reverse the bah humbug mood currently on Wall Street. 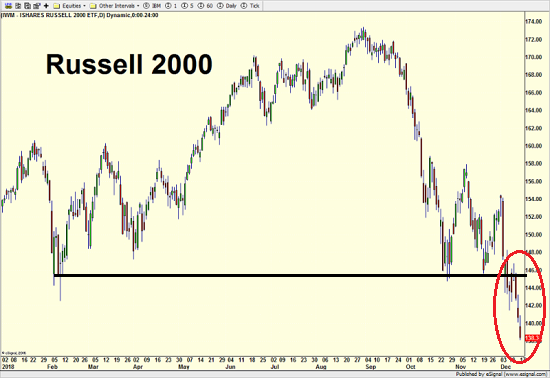 My outlook of the equity markets has evolved over the last few years. When I compare the stock market today to the stock market from 30 years ago, there are some significant changes in how the market functions. Market moves that used to take weeks or even months now happen within hours or days. The increase in speed has had a dramatic impact on the investing world. I attribute the changes in the speed at which the markets move to the ease at which investors have access to information. Thirty years ago, individual investors had to call up a broker to find out a stock price or wait until the next day when it was published in the newspaper. Now investors have real time access to data and charts on their computers or mobile phones. They no longer have to manually draw moving averages on a chart with a pencil but rather have their computer do it for them. They can even place a trade while sitting down for lunch from their cell phone! 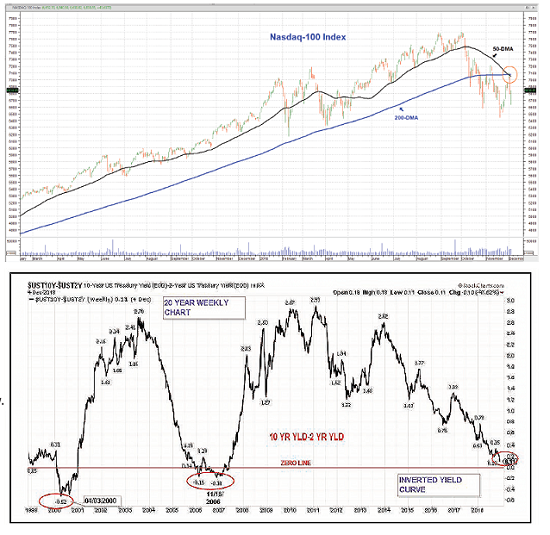 Global View Capital: Buckle Up! In addition, the expectation of an inverted yield curve (see below) has investors worried of recession. It has been noted in the financial media, ad nauseum, that an inverted yield curve always precedes a recession. However, historically, that lead time is anywhere from 6-24 months. In other words, investors are confused and the emotions of fear and greed continue to wreak havoc on the markets. Dash of Insight: Ready For Your Holiday Shopping? We have a normal week for news with the emphasis on inflation data and business optimism. In recent weeks data has had little bearing on stock price movement. In fact, the opposite has been the case. Whatever happens with stock and bond prices is selectively used to spin the data interpretation. There are many dire warnings of recession and a complete market collapse. They are hard for most to ignore, especially since these are the grist for nightly news summaries. Are you ready for your holiday shopping? If we get a little bounce in stocks, you will see the punditry, always followers, join in asking this question. The Emotomy Exposure Index represents the average daily exposure to equity markets in the investment accounts of Emotomy’s clients. This Index provides insight into the actual adjustments investment advisers have made to client accounts over time. The NAAIM Exposure Index represents the average exposure to US Equity markets reported by our members.